Looking to remodel? You've come to the right place! here for you. From start to finish, we are committed to your project's success. We picked Tim Hewitt because he has an impeccable reputation for quality and customer advocacy. Tim prides himself on doing work correctly. He never cuts corners or takes any action that isn't in the customer's best interest. In the end, the outcome of the project surpassed every expectation. We are absolutely thrilled with our new kitchen, laundry room and powder room. 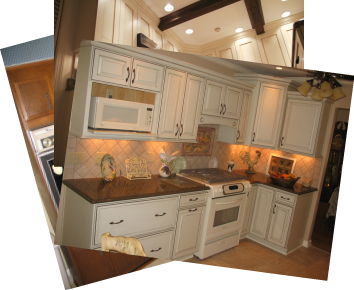 We wholeheartedly recommend Tim Hewitt and Hewitt Remodeling for your project - we couldn't be happier. My kitchen is gorgeous. Their workers were more particular than we are!" Planning and visualizing the new layout was difficult for (us). We had many questions on how to proceed. Tim Hewitt and his team helped my wife and I 'think through' the new design by listening and answering all of our questions . . ."